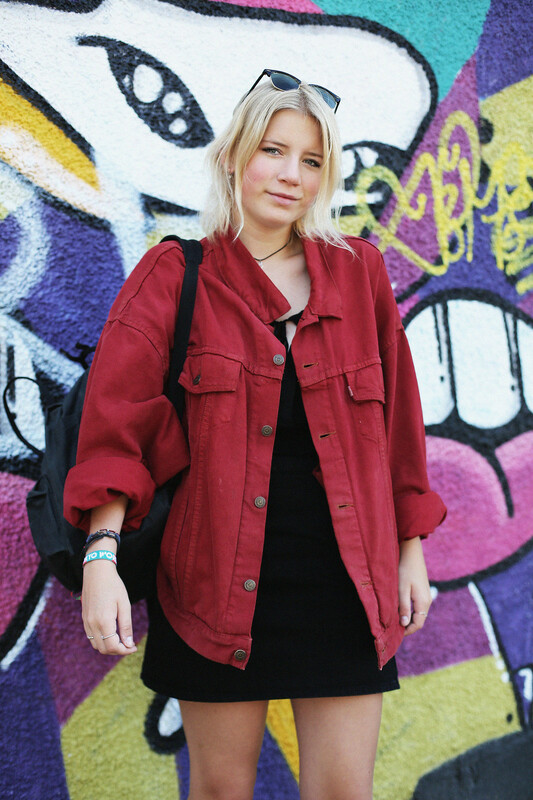 VINTAGE Levi’s red denim jacket, TOPSHOP black denim skirt, REEBOK classics trainers, RAYBAN clubmasters*, FJALLRAVEN KANKEN backpack. Cool casual look, love the jacket! In love with this, from top to bottom. Those shoes, that jacket, perfect!